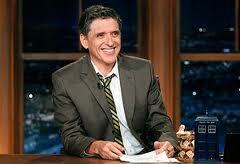 'Late Late Show' host Craig Ferguson receives mysterious white powder in the mail. Late-night talk show host Craig Ferguson received an unexpected scare and some unique monologue material when two of his Late Late Show staffers came in contact Tuesday with a mysterious white powder after opening an envelope at his CBS TV Studios offices in Los Angeles. “It’s a frightening day here at the studio,” Ferguson joked on-air. “Today someone sent here an envelope packed with white powder. I said, ‘I’ll test it for you if you want.’ I have a special test that I conducted between 1979 and 1992. According to The Hollywood Reporter, Detectives from the LAPD Major Crimes Division were investigating with FBI and European authorities onboard since the letter originated in Europe. Simon Doonan, creative ambassador at Barneys New York, offered the store’s many fans a jolt of style nostalgia when he looked back an early ‘90s ad from photographer Steven Meisel and art director Ronnie Newhouse. On Barneys The Window blog, Doonan placed the spotlight on the clever-as-ever ad that featured Linda Evangelista and a chimp smooching while Evangelista balanced a shoe on her head. Its copy read — “Attraction sometimes involves a few tricks,” completing a store campaign that would have wowed Peggy Olson. Musician and actor Tom Waits promoted his upcoming album Bad As Me by releasing its self-titled single today via iTunes. Fans continued to wait for new material from Waits since his last album of original songs, Real Gone, seven years ago. According to The Guardian, Bad As Me showed Waits to be at his gravely, bluesy best and had fans counting the days to the album release on Oct. 24. The drama Martha Marcy May Marlene, starring Elizabeth Olsen as a woman trying to escape an abusive cult and reconnect with her sister’s family, earned plenty of acclaim at the 2011 Sundance Film Festival. Fox Searchlight, which bought the film at Sundance, continued to prep the drama for its Oct. 21 release with an experiential website and a motion one-sheet as unique as the film.